You have planned for your child’s outdoor birthday party for weeks, and then, a few days before the party, the weatherman says it is likely to rain on your child’s special day! What do you? Keep calm! There are ways to cope with rain and still have a great party. 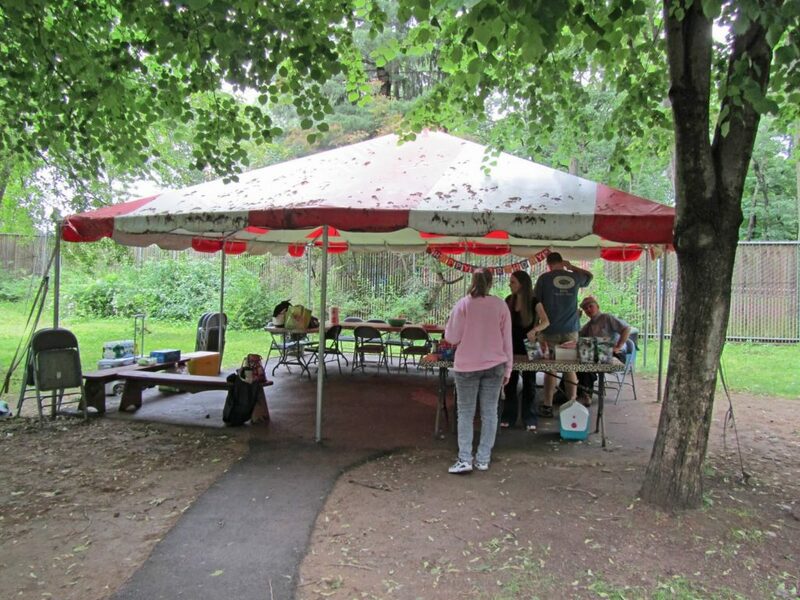 If the party was going to be at a park, rent or buy some tents to hold the party under. You can rent tents of many sizes from party stores. They are also inexpensive to buy from many sporting good stores, typically in a 10 by 10 foot size. If it doesn’t rain after all, the tents will give you welcomed shade for everyone to enjoy and keep the birthday cake from melting in the sun. If the outside party was planned at your home, of course, the easiest thing to do would be to move the party and the Jersey Jim’s Birthday magic show inside the house. Did you know that there are some birthday magicians who will not even perform magic shows outside? Jersey Jim’s has designed his birthday magic shows to be performed either inside or outside. What if you feel you don’t have room for the magic show inside your home? Jersey Jim has performed his birthday magic shows in very small apartments. 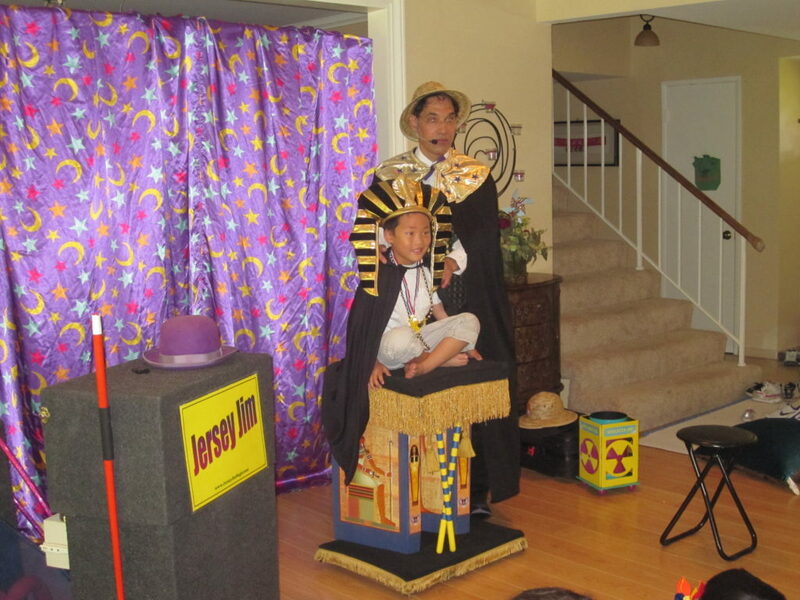 Perhaps Jim’s largest, Floating Child Extravagance floating child birthday magic show, requires a larger room, however Jim has many other birthday magic show packages that can be performed in very tight spaces. But what if you don’t want your nice clean home to be trampled by 25 screaming kids and parents? That was the whole reason you planned the party to be held outside! In that case, another option is to clear out the garage. 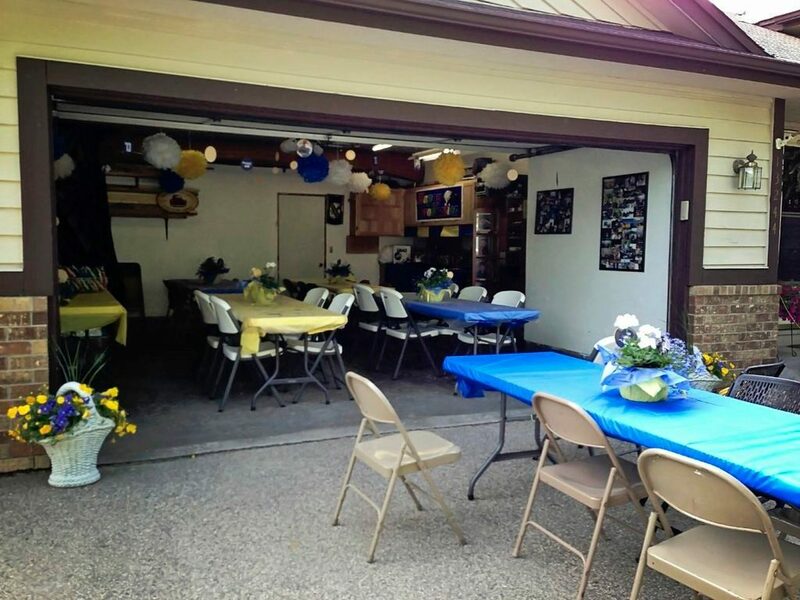 The garage is a great place to stage the birthday party in case of rain. Jersey Jim has performed many hilarious birthday magic shows in garages on rainy days. Many parents choose to hold the magic show in their garages whether it’s raining or not. If neither of these options work, you could choose to employ tents as we talked about earlier and use the cover of tents to still hold your party in the backyard. Jersey Jim has seen many parties conducted this way. Sometimes the tents are as big as the backyard itself! But the smaller, 10 by 10 foot tents, also work fine in this situation depending on how many guests you have. Covered patios are also another option to keep everyone out of the rain. By the way, tents are also a good idea to protect guests from blinding afternoon sun as well, which can also put a damper on the party fun. Another thought, there’s nothing wrong with getting wet! The rain could be a fun part of the party if you choose to incorporate it. Jersey Jim has very personal experience with rain and birthday parties and not just as the best birthday magician in the world. Jersey Jim is a loving parent also. Jim’s son’s birthday is in March, a very rainy month, and he has dealt with rain at his son’s birthday party for many years. 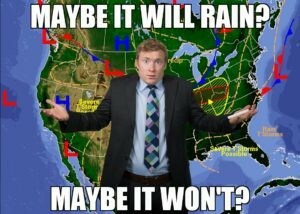 Reassure the birthday child that their party is still going to happen whether it rains or not! Children are better able to accept things if they are not surprised. 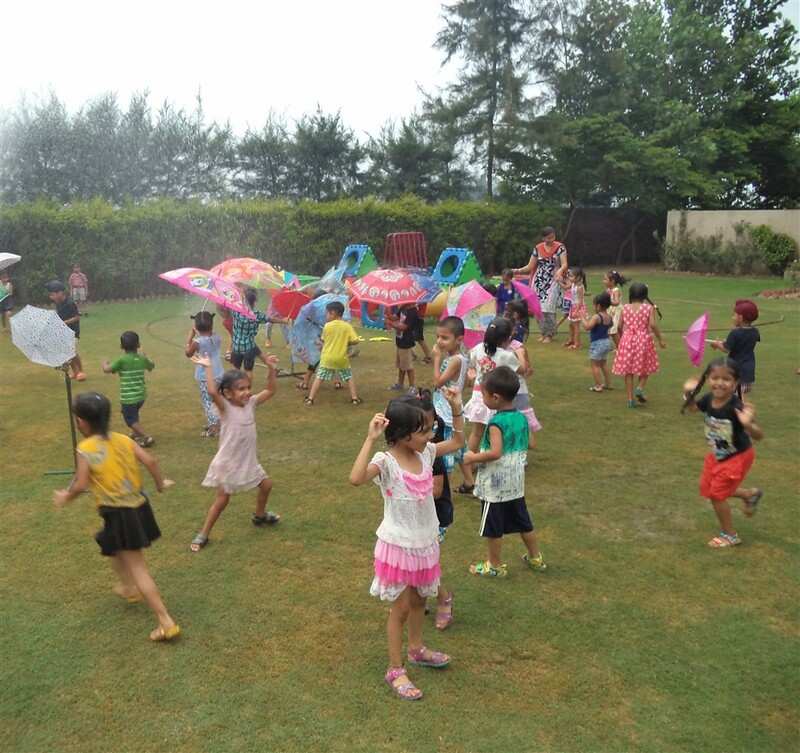 Let your child know in advance that there might be rain on their party day and that it will be okay even if it does rain. Tell them about the rain plan, and they will feel empowered by knowing what to expect. This could actually be a good life lesson about how we all need to be flexible in life. When life gives you lemons, you make lemonade. Make sure your invitations say that the party will happen “Rain Or Shine.” You don’t want no one to show up because they assume the rain means that your child’s birthday party must be canceled! What could be worse than no friends showing up for your child’s birthday party?! I put “Rain or Shine” on all my son’s birthday invitations, but there was still one friend who did not show up because, the father later told me, he thought the party must have been canceled because of the rain. He obviously did not read the invitation, but the good news is that everyone else did read the invitation, and all but one of my son’s friends showed up for his party. Jersey Jim is a the funniest and friendliest birthday magician and his birthday magic shows are the most entertaining in the entire world. Jersey Jim was chosen by Universal Studios to be the birthday magician in the film “Couples Retreat.” Please call or email for dates to bring Jersey Jim Comedy Magician to your child’s birthday party. It will be a show that everyone will remember for years and years. This entry was posted in Birthday Magician, Magic Shows for Children on March 21, 2019 by Jim. a-kasse.webs.com on Jersey Jim Performs at the Magic Castle! CHRISTINE SANCHEZ on Jersey Jim Performs at the Magic Castle! Jim on Halloween Magician | Jersey Jim’s Spooky Goofy Halloween Magic comes to Gelson’s Calabasas! What's Jersey Jim Up To? Visit Jersey Jim on Facebook!